“pale apparition” I did not come up with these names. This week I have been recording sounds and brainstorming to come up with new tracks. I’v been futzing with my microphone and changing the pitch of my voice to create something kind of weird and spooky sounding. I am in the process of making a kind of hip hop track that I want to have some sounds along with the music to kind of sound like something is horribly wrong, kind of like a glitching machine. I’m going to look back and try and find more PSAs or other audio for future tracks for this upcoming album. this screenshot below shows this sound I’ve tried to curate, the line chart represents the sound automation of the track, I’ve decided I like the sound of boosting that sound up quickly and then fading out quickly. This will create a dramatic and theatrical ending to the track. Update 4: Album coming soon! The last two weeks have been pretty busy and hectic, after a bit of artist’s block, (Writer’s Block, but as an artist) I have released two new tracks. One includes audio from the infamous Max Headroom incident, an unsolved broadcast interruption that happened in 1987. 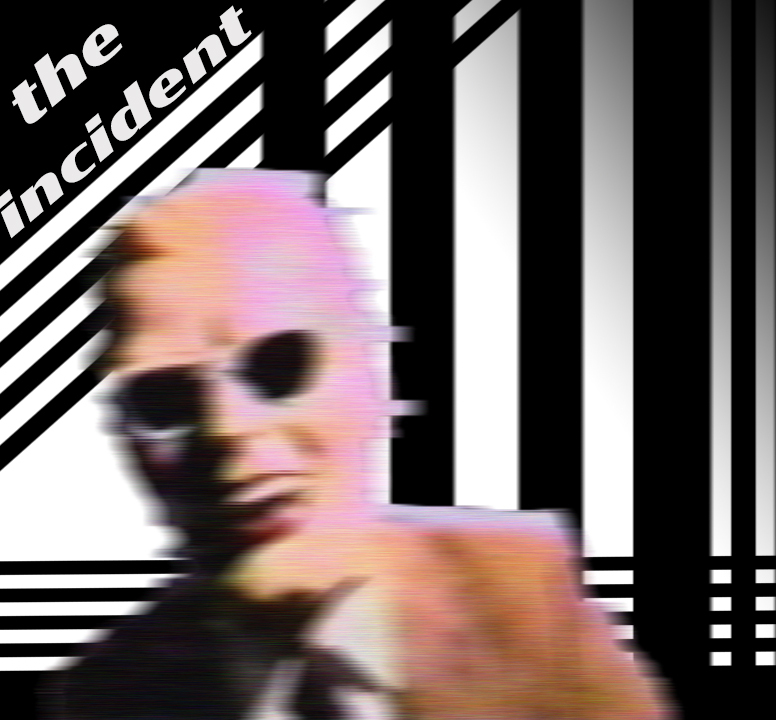 The Album will be called The incident, I’m calling it this because I want this new album to be shrouded in mystery and evoke that feeling the the infamous incident had. Release date is to be determined. Below is my concept album art as of now, it probably will change a bit. Update 2: EP dropping soon!! Over the past two weeks I’ve been busy working on trying to find the best way to build an audience; since my latest track posted to Soundcloud wasn’t getting the traffic I expected. I surveyed my school through a Google Form, it evaluated my peers and teachers on how they listen to music. The data that was collected was surprising. the vast majority of people listened to their music on Spotify, the data at about 40 percent. 20 percent of people listened to Apple Music or iTunes. Only 8 percent of people listened to their music on Soundcloud, or only 5 people. This leads me to believe I need to find a way to put my own music on Spotify and Apple Music, this will be my main objective in the following weeks. Other than making music of course.